Before I even begin, you should be knowledgeable about the fact that I’ve tried this add-on on Uncharted 2: Among Thieves (PS3), Borderlands (PS3), FIFA 10 (PS3) and Call of Duty: World at War (Xbox 360), so it has been thoroughly put to the test thought a wide range of genres. Having said that, my initial approach to the FPSFreek sticks was that of skepticism. I really didn’t think they would work at all, probably worsening the experience rather than making it more enjoyable. But, I went for it anyways, starting with Uncharted 2. Although not a first-person shooter, I must say that the extra length of the sticks did give me a slight advantage when taking aim at my enemy. Not only was I happy about that, but the fact that the rubber top of the sticks are concaved rather than convexed made the PS3 controller so much better and easier to handle. It even felt so good that I played through Drake’s adventure in its entirety with the FPSFreek sticks glued on to the original ones. The experience I had with these two sticks when playing Borderlands was pretty much the same as when playing Uncharted 2. Borderlands is an FPS – or RPS if you will – which this add-on has been optimized for. But as I said, it did improve my accuracy just as much as it did on Uncharted 2 and once again, I’m delighted about the concave shape of the sticks. However, when going for a sports game, in this case FIFA 10, there wasn’t much of a difference between using this add-on or just going with the original built-in analog sticks. Although, it felt like I took a step backwards when returning to convex-shaped sticks again, but that’s probably not because of FPSFreek as much as it is because of the PS3 controller being designed that way. Next game up was World at War, and this time, on the Xbox 360. You should also know, that I am a fan of concave-shaped sticks. In fact, the entire Xbox 360 fits my hands like a glove. 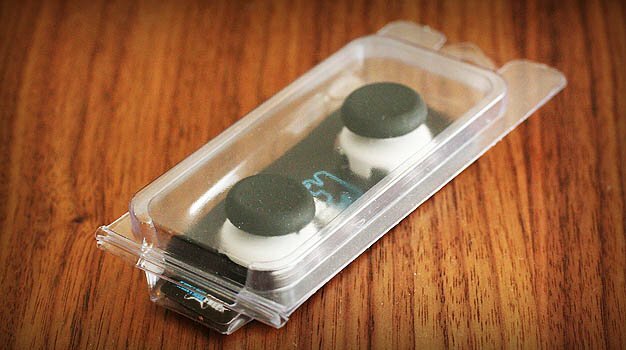 Having said that, I did not feel these Freek sticks did me any better when applying them to the 360’s original analog sticks. I did gain precision when using them, slightly, but in the long run, they didn’t really feel as good as going with the built-in 360 controller sticks, mainly because both of them are concave-shaped and there’s more resistance in the built-in analog sticks on the Xbox 360 controller than there is on the PS3 controller, hence making the add-on somewhat unnecessary. What we have to remember is that this opinion is my own based on my experience with these sticks, using my hands. 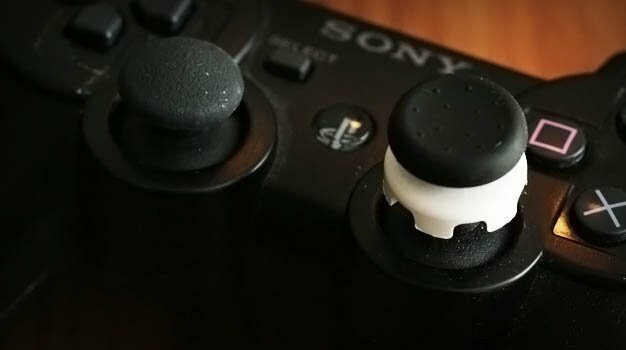 We’re all very different and feel different about the analog sticks but if I had to say whether or not the FPSFreek sticks are worth trying out, I would say yes, especially if you don’t appreciate the design of the PS3 controller sticks. 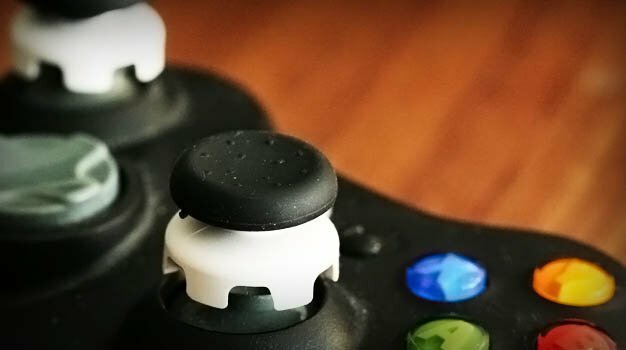 KontrolFreek is selling them at just $9.99 and it would be quite well-spent money if you’d like to perfect your aiming precision in just a matter of minutes.